This week was full of family, food, and less-than-ideal sleep. 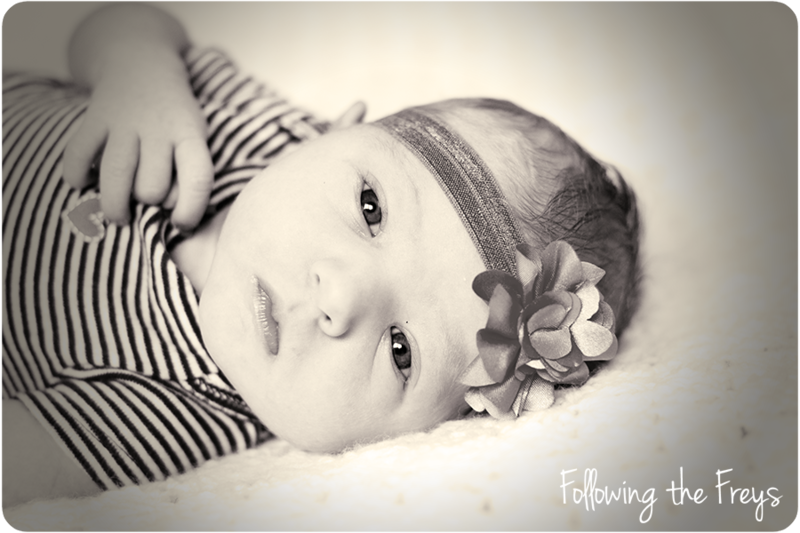 Here is our Kate at one week old. 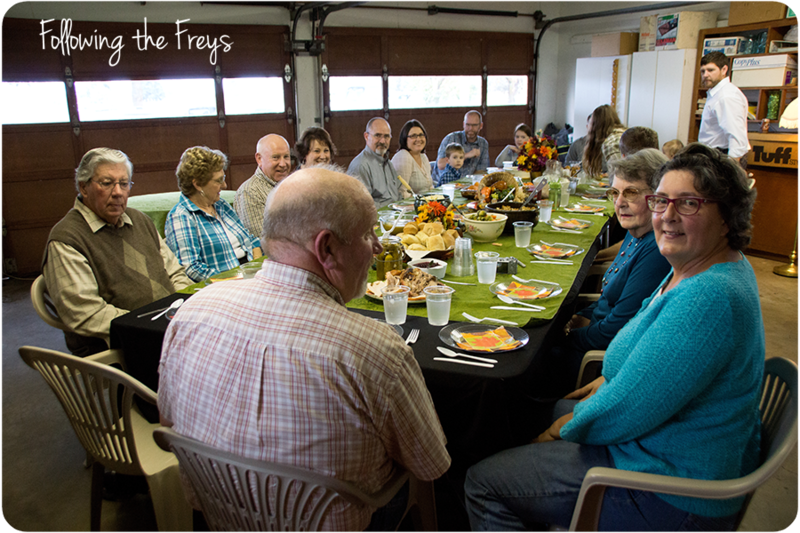 With the Thanksgiving holiday and the wedding of a family friend last weekend, we had a very full house. Both of Brian's brothers were home, along with my sister-in-law and 1-yr-old nephew. 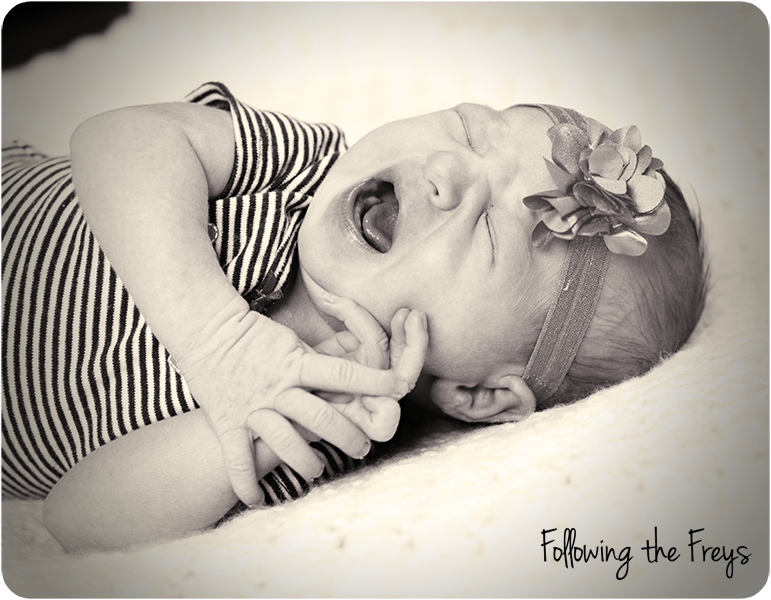 Perhaps not an ideal situation for bringing home a newborn, but at least I can say that I never lacked for a helping hand! 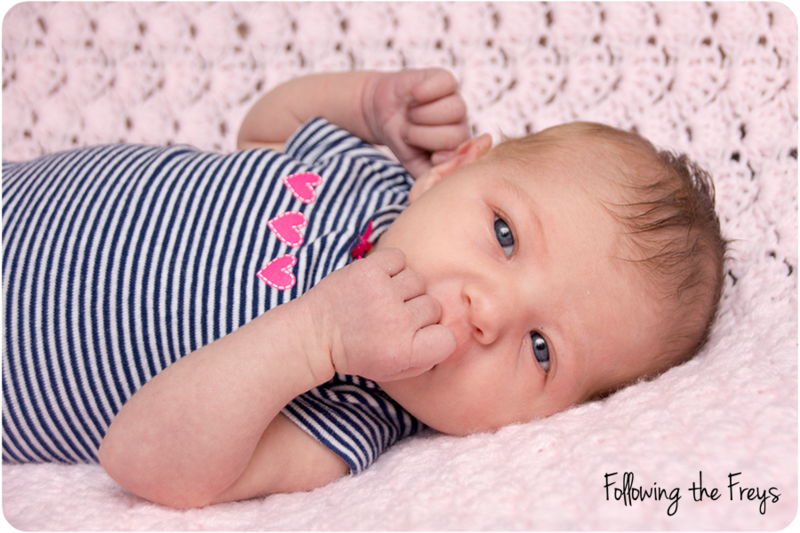 And it was nice to have everyone home to see Kate when she was brand new. Kate's nighttime sleep has been typical for a newborn... meaning bleary-eyed parents in the morning. My nephew was teething too, which meant that there was crying throughout the house most nights. But we are all surviving! 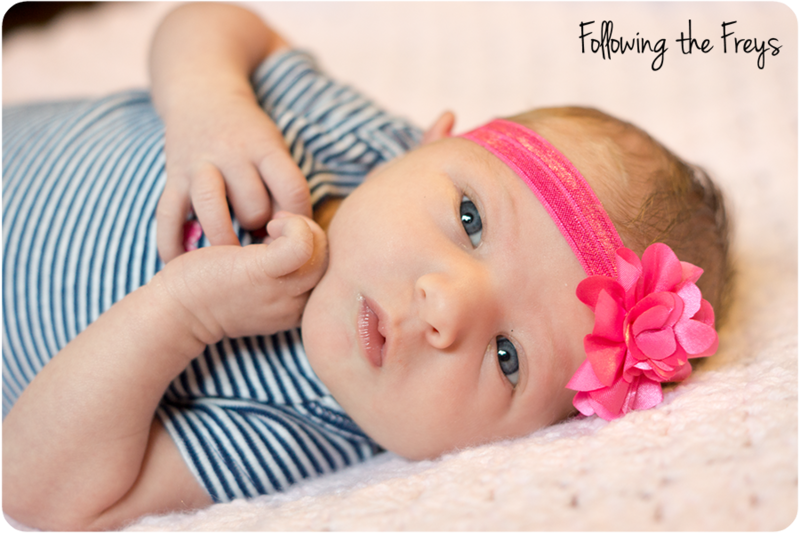 We brought Kate home last Friday. On Saturday, she and I had the house to ourselves, as everyone else went to the aforementioned wedding. It was nice and quiet. Then on Sunday, all the boys went on a special outing, designed mainly for Greg: a train ride! They rode Amtrak from Salem to Portland and back. Greg was thrilled! 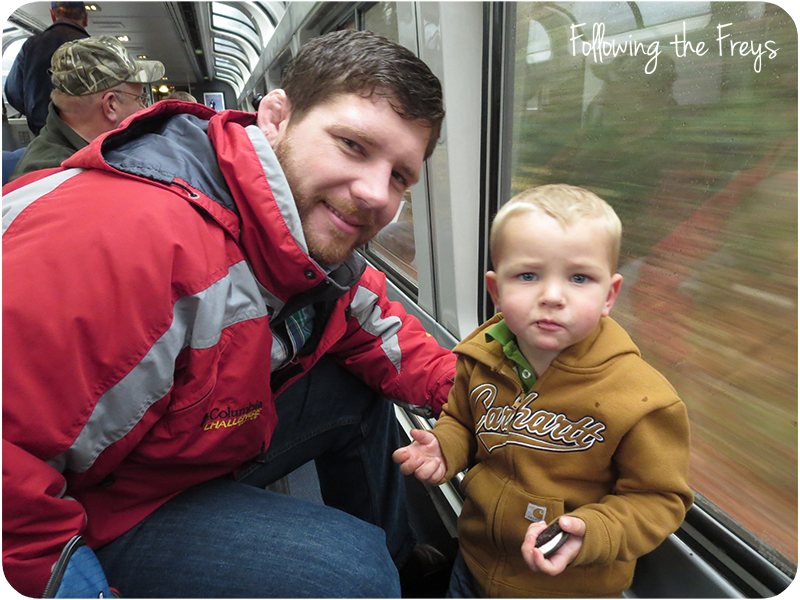 (Caleb had fun too, but a train ride has been something Greg has been talking about for weeks). 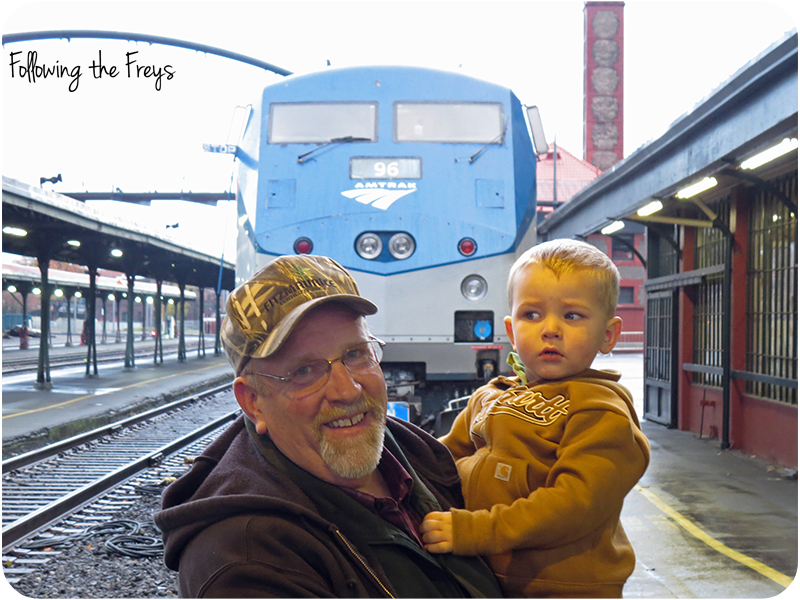 At the station with Grandpa. 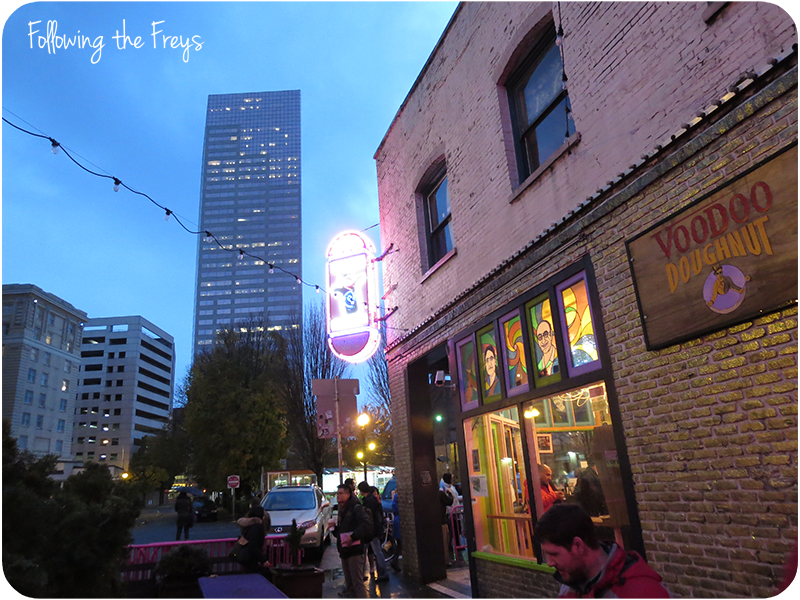 In Portland, they visited the famous Voodoo Doughnuts before catching their ride home. 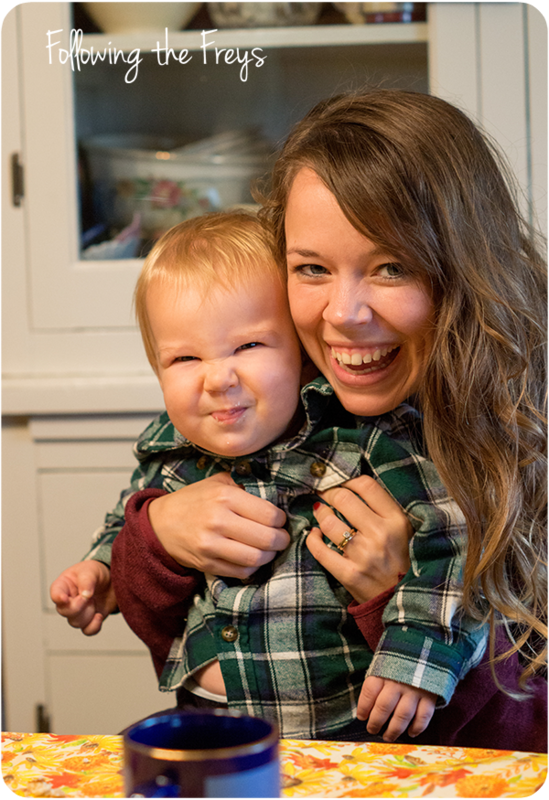 It's been really fun getting to know my sweet nephew, and to hang out with his mom. 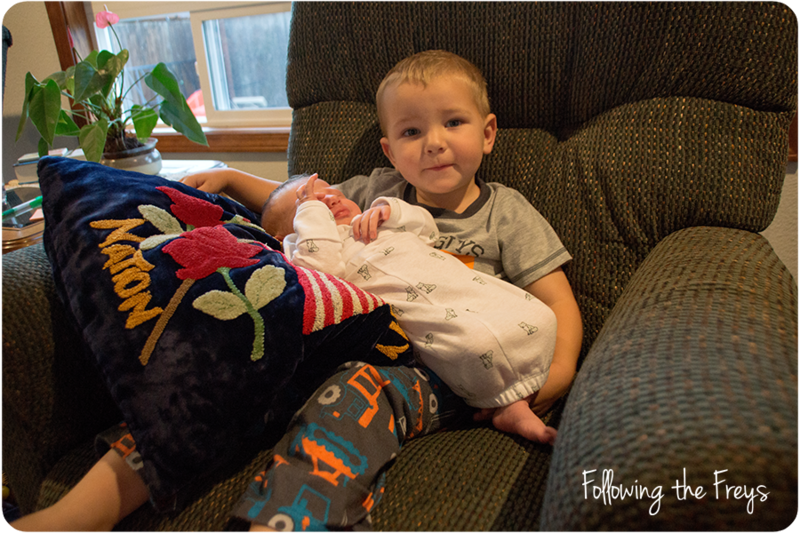 I think that getting a chance to "hold that baby" every once in a while has helped Caleb adjust a little to the idea of not being the baby of the family any more. Grandma is always willing to take a turn holding her too! 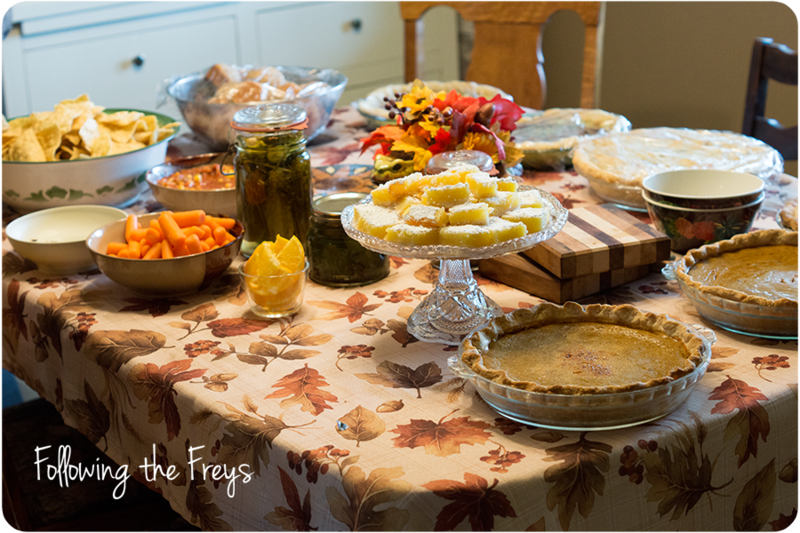 We celebrated Thanksgiving on Wednesday. The whole crew. I'm so blessed to have married into such a great family!